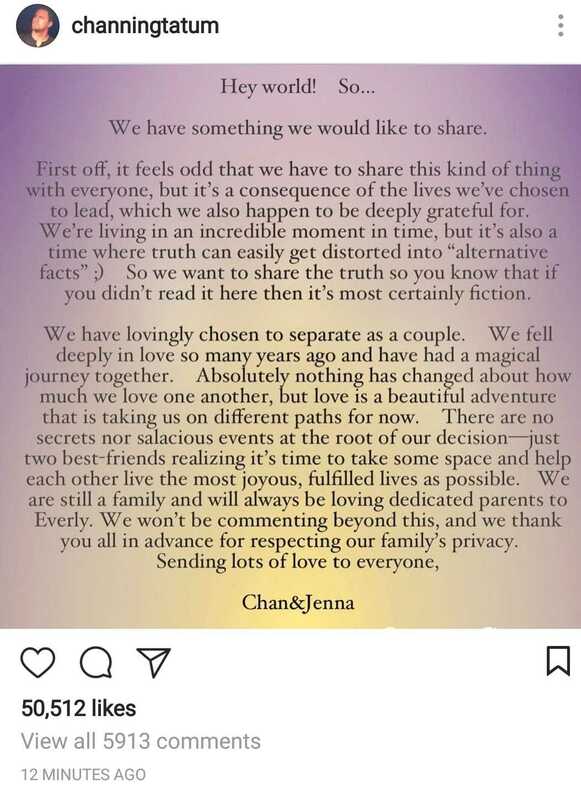 Channing Tatum and Jenna Dewan Tatum announced their separation in a joint statement posted on Instagram Monday. Many fans have followed the duo’s romance since the two started dating after they met on the set of the movie Step Up in 2006. They got married in 2009 and in May 2013, they welcomed their baby girl, Everly. About a year ago, Jenna talked to Ellen, host of The Ellen DeGeneres Show, about how they met on the set. “So three days go by, and he goes out with all the dancers from Step Up and had this crazy, wild tequila night. And he said he had the chance ‘to be free’ and he couldn’t stop thinking about me. So he comes down to my hotel room a 2 a.m., and he’s banging on the door, and I’m like, ‘What is going on? !’ And I go and I open the door, and he’s in a sombrero. He’s naked—no, I’m sorry. He’s in underwear, underwear, sombrero and Ugg boots, and he’s like, ‘Let’s do this,'” the 37-year-old actress said. 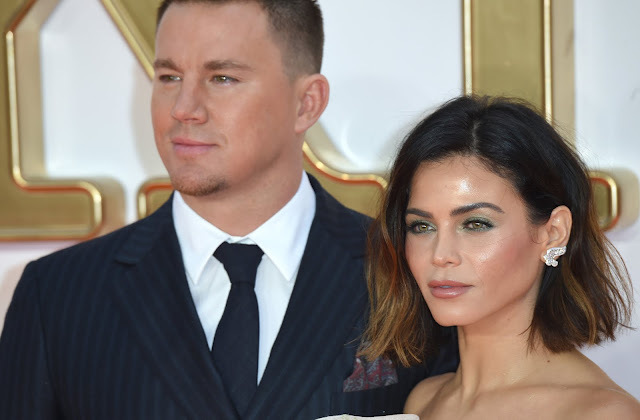 In an interview with BBC Radio One’s The Breakfast Show With Nick Grimshaw, Channing shared that he accidentally made Jenna cry before he proposed to her. “I told her, ‘I don’t believe in the institution of marriage and I don’t think I ever want to get married,'” he confessed. “She basically broke down crying. I thought, ‘This is not going well at all,’ so I had to propose to her sooner rather than later.” He eventually popped the question in September 2008 during their vacation in Maui.